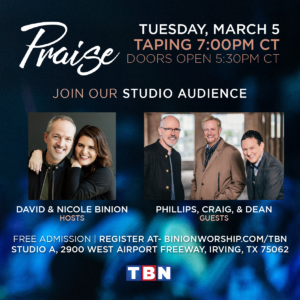 Join Phillips, Craig and Dean in the Dallas, Texas area on March 5 and 6! 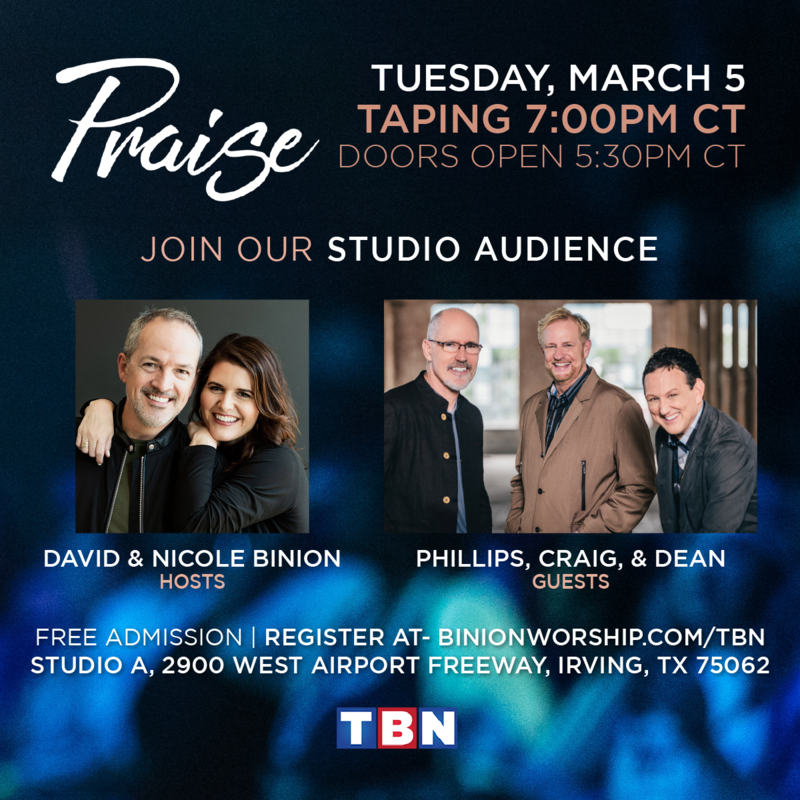 March 5 we will worship with our friends, David and Nicole Binion, at Trinity Broadcasting Network location in Irving, Texas. Be a part of the live studio audience. Get more info and free tickets online. March 6 worship with us at Prestonwood Baptist Church in Plano, Texas. Join and share the event to invite family and friends.